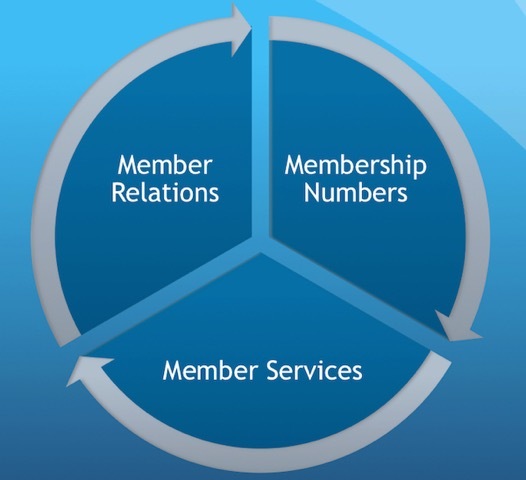 The AAV Membership Committee works to promote and expand the benefits of AAV membership, the growth of AAV membership numbers, as well as any activities that support a sense of community among AAV members. Towards that end, Committee activities are extremely diverse, ranging from renewal/membership drives to promotion of the AAV Member Spotlight. Member Spotlights are designed to feature AAV’s most valuable asset, our members, by highlighting our diverse backgrounds, professional activities, experiences, and geographic locations. The Membership Committee also has recent projects that have expanded the benefits of AAV membership. The Golden Egg is a recent Membership Committee project that has expanded the benefits of AAV membership. The inaugural issue of The Golden Egg features a collection of online content focused on a common and frustrating clinical problem: feather destructive behavior. The latest Committee project is the Bird-Friendly Practice Toolbox, a collection of resources designed to address the essential needs of a bird-friendly clinical practice. Although originally designed for the “fledgling” avian veterinarian, these tools can benefit a variety of AAV members. From clinicians adding birds to an existing practice, to those working to make their practice more “bird-friendly” or planning to open a new avian-focused practice. “Toot” your own horn or encourage a colleague to do so! 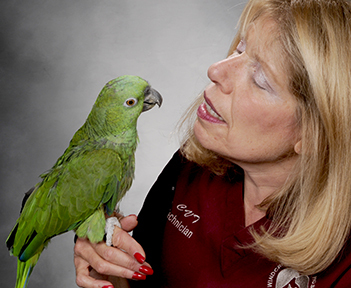 Complete the Member Spotlight questionnaire or create a BRIEF video or photo diary that showcases your experiences as an avian veterinarian. In 2019, the pilot state representative program will host a meeting during ChicagoVet 2019. This meeting will be an intimate opportunity to network and gain advice on challenging cases. Will you be attending ChicagoVet 2019? Please contact us at membership@aav.org to learn more. Designed to serve as a “work in progress,” our hope is the tools provided will grow and evolve. Can you provide feedback on the current documents? Or perhaps you have additional tips for what it takes to make a “bird-friendly” practice? Please share your comments in the NEW Forum Conversation. Do you have documents that you would be willing to share with AAV members that serve as clinical tools in your practice? Upload the content online or contact us at membership@aav.org. The Membership Committee currently has liaisons on the AAV International and Technician Committees, but we need more liaisons to stay connected with other AAV Committees. Are you an AAV Committee member willing to liaise with the Membership Committee? Contact us. The Membership Committee is chaired by Christal Pollock, DVM, DABVP (Avian Practice) a member of AAV since 1996 and a Lafeber Company Veterinary Consultant. Christal currently splits her time between Philadelphia, Mississippi and Cleveland, Ohio. Other Membership Committee members hail from all across the United States, Canada, Latin America, and the Mideast. We would love for you to join us! Contact us today!